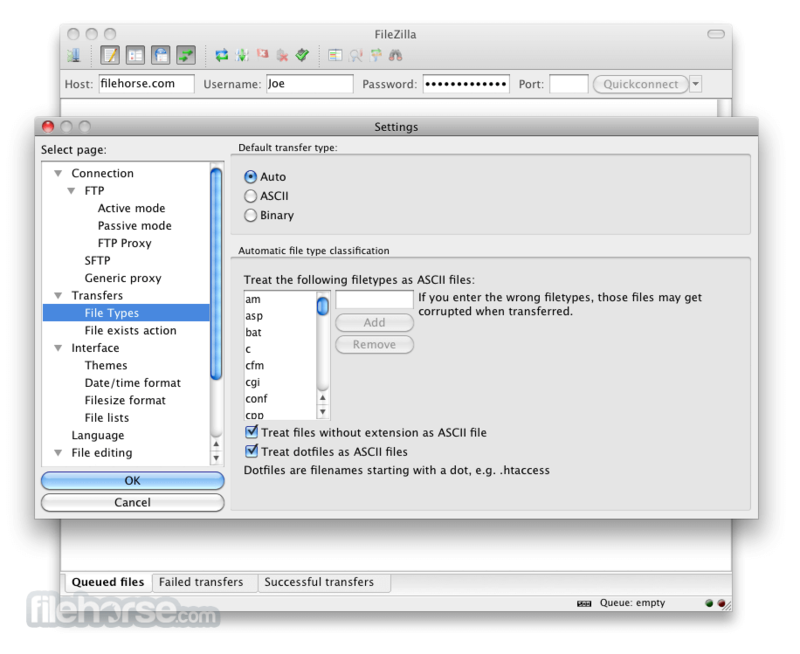 FileZilla Client for Mac is a fast and reliable cross-platform FTP, FTPS and SFTP client with lots of useful features and an intuitive graphical user interface. It includes a site manager to store all your connection details and logins as well as an Explorer style interface that shows the local and remote folders and can be customized independently. 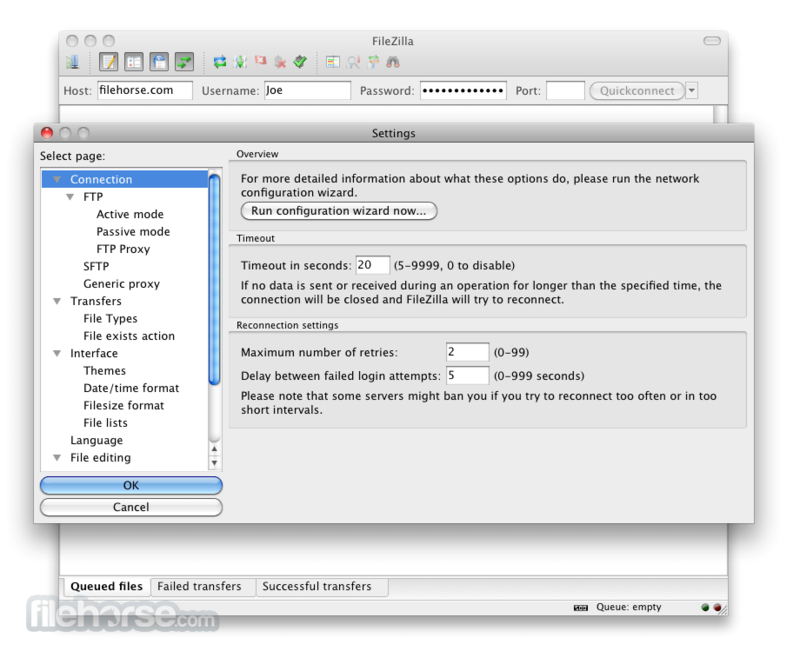 The program offers support for firewalls and proxy connections as well as SSL and Kerberos GSS security. Additional features include keep alive, auto ascii/binary transfer and more. A nice program for beginners and advanced user alike. 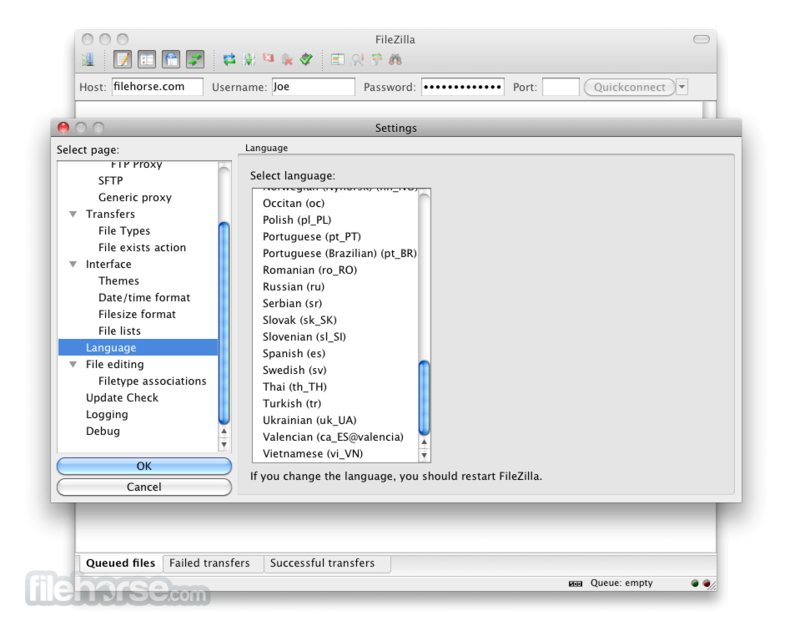 Download FileZilla for Mac is a powerful file management software for FTP access to your Web site's server!